What's romantic and radiant and all sorts of gorgeous? Say hello to this year's Color of the Year, Radiant Orchid. 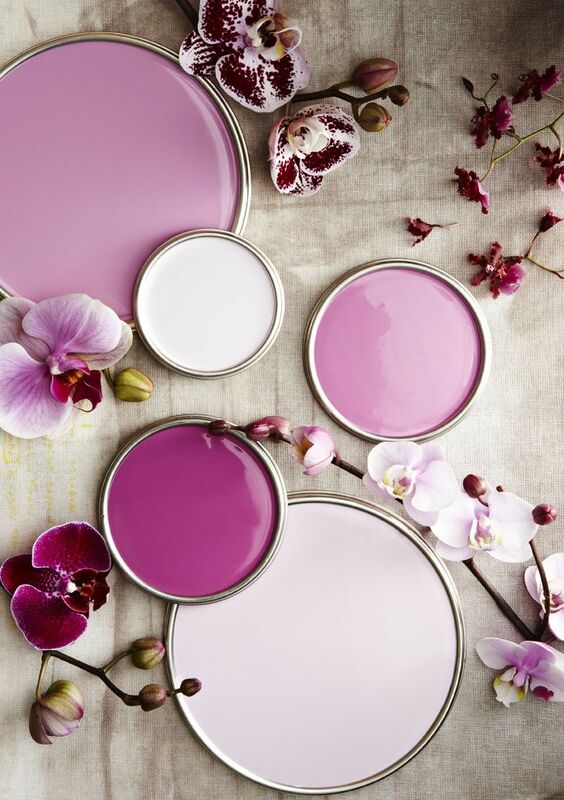 Named by our friends over at Pantone, Radiant Orchid really is a pretty amazing color. Am I right? And with all sorts of pretty ways to bring this color palette to life, I can't help but get lost as I dream of all the possibilities. Want to know what color works best with Radiant Orchid? I'd suggest pairing similar shades like a more traditional shade of purple, a touch of lavender, and even a pop of bright fuchsia like I'm showing here. It really does make for a very romantic palette. Oh, and if you're looking for a way to up the glam factor. Just include a little sparkle. Because seriously, what's not to love about sequins and sparkle especially in colors as pretty as these? 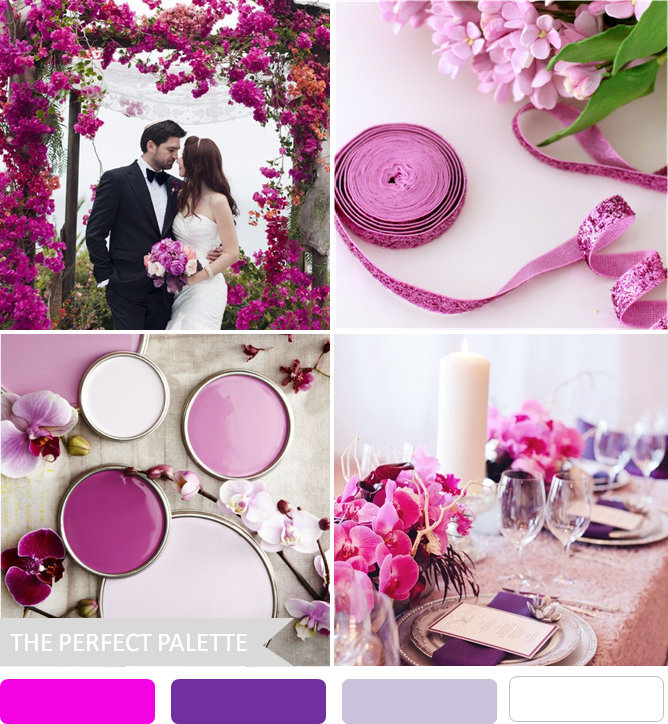 10 Comments " Party Palette | Pantone Color of the Year, Radiant Orchid "
Absolutely gorgeous! Love the table setting and the arbor of flowers around the bride and groom. Can't wait to see all the ways this color will pop up in 2014! Beautiful palette! So excited that this is the color of the year! It is really a gorgeous color! I love this color more and more every time that I see it. I can't wait to see brides adding their special twists to color palette. This is one of my favourite interpretations of Pantone's colour of the year! That top left photo is absolute perfection! Love this inspiration! Absolutely beautiful! Loved the whole theme of Pantone radiant orchid. These ribbons, cards, glasses etc are absolutely awesome. I have also planned a lot of things for my weddings which is on 22nd February. And I have also bought such beautiful things. Thanks to http://www.graciousbridal.com/ who has helped a lot in buying those things i ever dreamt of. I just want to have a perfect wedding and I am doing the best possible thing to make it happen. Hopefully all is good. Adore the idea of pairing it with sequins! Who doesn't love a little sparkle?! Gorgeous inspiration!